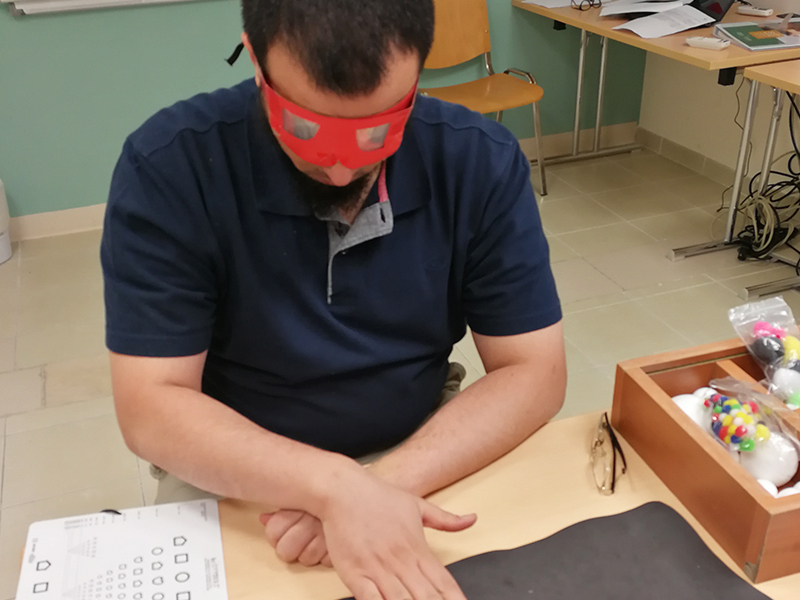 The summer semester was busy for the GJU Vision Rehabilitation Center; we had two advanced tailored courses for professionals from various backgrounds. 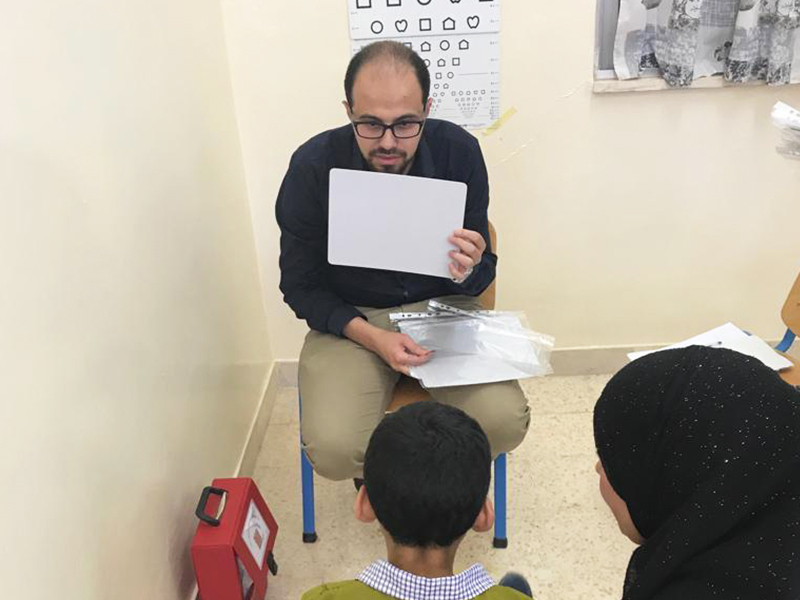 The first course was the advance course in Vision Rehabilitation; this course were offered for two specialists from outside Jordan; an occupational therapist from Saudi Arabia and Ophthalmologist from Egypt. 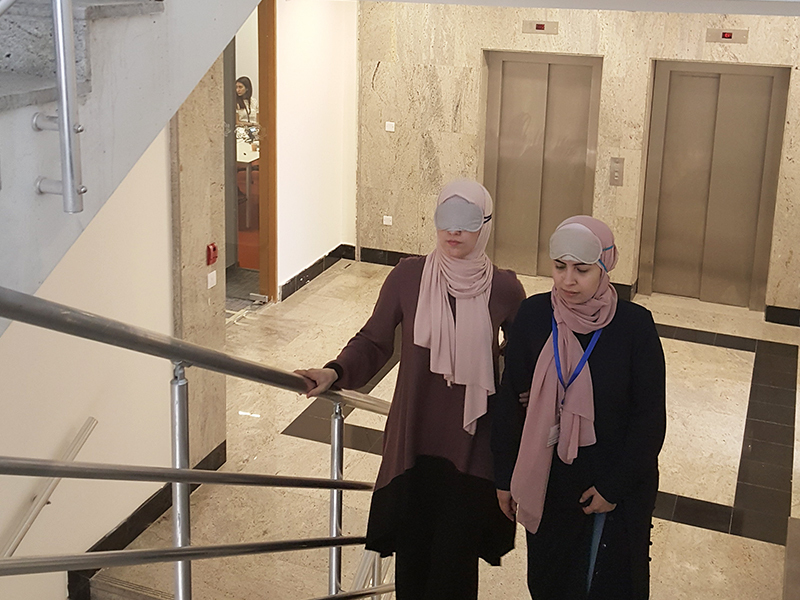 They had interest in the advance course after completing two online courses; the first course was the basic online course in Low Vision Rehabilitation, it was completely free and aims at providing professionals with the basic understanding of low vision. The second online course was the intermediate course; in this course they complete assignments for which they get feedback from low vision specialists at the Vision Rehabilitation Center. The advance course was distinguished from the previous two online courses by being on site at the center in Amman for two weeks. The participants had the chance to do comprehensive low vision assessment with simulation glasses including recommendation for devices using role playing. On the other hand, they had the opportunity to observe real clinical cases with low vision for five day clinic, emphasizing in history taking, assessment, magnification, choosing the appropriate devices, training and advices, followed by discussion, debriefing and lessons learned. The other course held is the short training course on Orientation and Mobility (O&M) and Activities of Daily Living (ADL) for a specialist on accessibilities features on Apple products for people with visual disability from UAE. The course was 8 days were the participant had exposure of many practical activities in sensory awareness, O&M, ADL, communication and environmental adaptations. 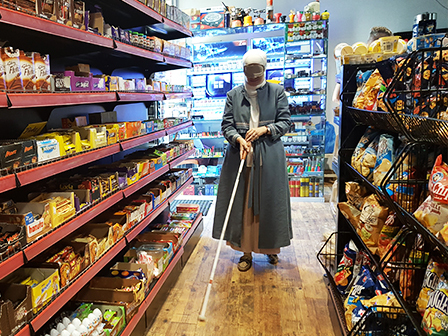 At the end of the training, the participant was able to apply different techniques in O&M like sighted guide and using of white cane, and practice modified strategies to execute ADL. 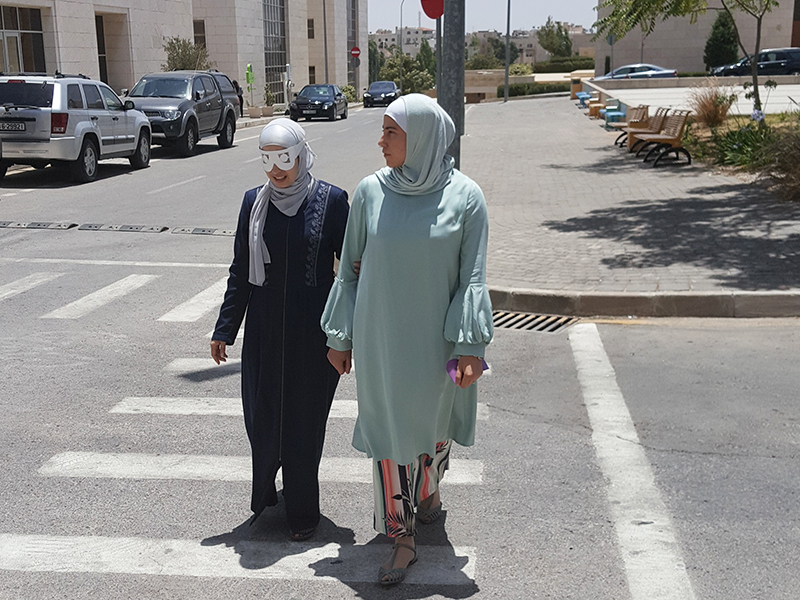 Continuing to the activities carried out by the Vision Rehabilitation Center in serving the community, in July, the Center visited Bait Al-Leqaa center for special needs with a participation of two participants in the Advanced Course in vision rehabilitation. The aim of the visit was to execute a visual screening to detect persons with low vision. Twenty-eight persons were examined with ages ranged between 2 to 40 years old. Four persons were detected to have low vision, and were referred to the Center for extensive visual assessment to provide them with visual aids. In addition, some people need to be examined by an ophthalmologist.